FACTS™ includes a complete financial suite. Designed specifically for the logistics industry, Accounts Receivable, Accounts Payable, and a complete General Ledger are all part of the system and are owned and supported by CLI. All modules are fully integrated to the rest of FACTS™ for real time visibility across the entire system. Information flows in real time between all modules and the application is designed to eliminate repetitive tasks while maintaining specific information on customers, service preferences and pricing. Most of the parameters set-up in the system are defined by the user so that the application reacts to current needs, but is flexible enough to be changed on the fly. The system was designed and enhanced over the years to encompass a level of functionality rarely seen in an “out of the box” application. Real time updating and reporting makes the transactional process seamless. 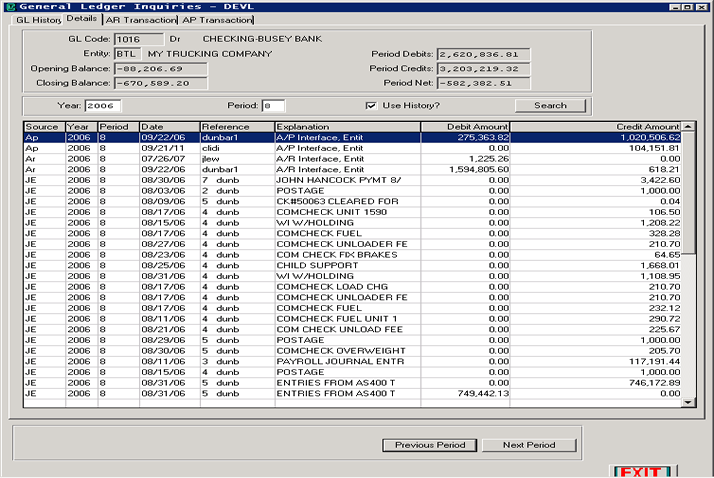 Contains robust invoicing, posting and payable programs as part of the core system. FACTS™ offers a comprehensive DB of information on customers and partners. Handles all financial components for both traditional carriers and non-asset based brokers and 3PL providers.